What is the likely shape of the library of the Future? And how do we build collections for it? An informal meeting of leading library and information industry participants devoted to thinking through and debating the new world order in collection development. Join us for the 21st in this series of important discussions about the future of libraries, publishing, collections, and scholarship. 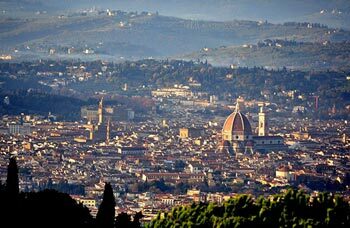 The Fiesole Retreat Series offers a unique opportunity to interact with a select group of your colleagues in a relaxed and thoughtful setting. 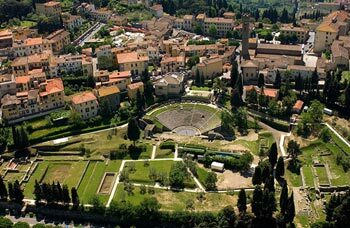 Our 2019 Fiesole Retreat returns to its home in Fiesole (Florence), Italy and the beautiful campus of the European University Institute. This year, our Pre-Retreat Session will focus on exciting new technologies and their applications. Our Full-Day Session will be devoted to a multi-dimensional discussion of Open Strategies, including the important movements of Open Science, Plan S, and Open Scholarship. We will examine and discuss the impacts of these strategies from the perspectives of all stakeholders, and end with a debate and discussion concerning our shared future. 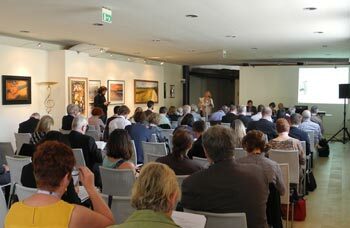 Our Final Half-Day Session will examine the Academic Monograph and its place in the emerging environment. Our goal is to create an environment of open and honest conversation that builds from our shared traditions and seeks always to harness what is best in the new world in service to researchers, scholars, learners and students. We welcome wide participation in our discussion. Michael A. Keller is the Ida M. Green University Librarian, Director of Academic Information Resources, Publisher of the Stanford University Press, and Founder of HighWire Press. Since January2018, the role of Vice Provost for Teaching and Learning at Stanford was added to the Vice Provostship for Libraries and the Press. Keller was educated at Hamilton College and then studied musicology at State University of New York at Buffalo. He has taught at Cornell University andStanford University. During Keller's 26 year tenure at Stanford University, the libraries, academic computing, and publishing have earned reputations as highly innovative academic services agencies. He is a frequent speaker at professional, high-technology, and scholarly gatherings around the world on topics ranging from librarianship,academic publishing and information topography to national and global information policy. He has an active consulting practice; among his clientshave been the City of Ferrara in Italy, Newsweek magazine, Princeton University, Indiana University, the British Library, the National Library of China, King Abdullah University of Science and Technology, the National Library of Israel, and El Colegio de Mexico. He has been a Member of the Boards of Hamilton College, the Bibliotheca Alexandrina in Egypt, Long Now Foundation, Japan's National Institute for Informatics, the National Library of China, SIPX, and Therametrics AG. He has been a guest professor at the Chinese Academy of Sciences and was a Senior Presidential Fellow of theCouncil on Library and Information Resources. He has been appointed by the National Research Council of the National Academy of Sciences to be a member of the Board on Research Data Integrity, the Study Group on an Agenda for Research on Copyright, and the Committee on the Responsible Conduct of Science. He was a Siemens Stiftung Lecturer. A Fellow of the American Association for the Advancement of Science since 2008, he was elected a Fellow of the American Academy of Arts and Sciences in 2010. Stanford awarded its highest honor, the Cuthbertson Award, to Keller in June of 2015 and in January 2016 the Republic of Estonia gave Keller the Order of the Cross of Terra Mariana for his service as a foreigner in support of Estonia and its cultural institutions. Roger Jøsevold is Deputy Director General at the National Library of Norway. He came to The National Library in 2004 from a position as director for new services at Bluegarden AS, delivering web-based HR-services. Prior to this he has held positions in several governmental ministries and agencies i.a. Statskonsult where he worked as senior advices and also headed the expert group for organizational development and restructuring. He has studied sociology, pedagogy, public law and public administration at the University of Oslo and the University College of Bodø. Ruggero Gramatica, Founder and CEO. Ruggero has over 20 years of experience in startups and company turnaround. Bringing strategic leadership as well as technological and operational expertise to bear, he has contributed to the growth and expansion of 5 start-ups both in the United States and across Europe and has operated successfully in both blue chip and early stage environments. He is currently the founder and CEO of Yewno, an A.I. based knowledge discovery platform offering advanced solutions in the Education, Publishing, Finance, Life Sciences and Government verticals. Ruggero holds a PhD in Applied Mathematics from King's College London, an MBA from University of Chicago, a BS in Electrical Engineering from University Politecnico of Milan. Philip Schreur is currently the Associate University Librarian for Technical and Access Services at Stanford University. He earned a PhD from Stanford in Medieval music theory and an MLIS from the University of California, Berkeley. Philip has been the Chair of the Program for Cooperative cataloging and deeply involved in the implementation of the new cataloging rules Resource, Description and Access (RDA) in the United States. With a mid-career move to HighWire Press, he developed an interest in the automated taxonomic analysis of digital texts. Currently, he is in charge of coordinating linked-data project development for the Stanford University Libraries (SUL). Initial areas of interest include the use of linked data as a mechanism for identity management across traditional resources and those within the digital library, the integration of linked data from disparate sources, and the transition of traditional technical services workflows to processes rooted in linked open data. Library metadata creation and manipulation are in the throes of transition from its current infrastructure built upon MARC and the semantics of the catalog card to linked data and the Semantic Web. Powerful currents of disruptive innovation and assistive technologies, such as Artificial Intelligence, challenge the library's primary position as metadata gatekeepers. Demands for social justice have exposed implicit bias in traditional discovery. How can libraries best position themselves to remain a key partner in the world of knowledge management during this time of impatient transformation? 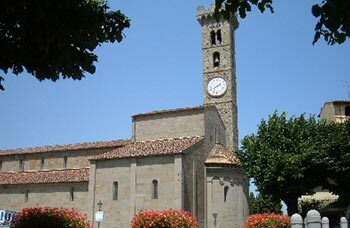 Paola Manoni is the head of the Coordination of IT Services at the Biblioteca Apostolica Vaticana (BAV). Her research area is focused on metadata, digital libraries and interoperability protocols for cultural heritage systems. She is deeply involved in international standardization processes, as the president of the UNI Technical Committee "Documentation and Information" (UNI is the Italian Standards Organization) as well as a member of ISO Technical Committee 46 "Information and Documentation", She represents the Vatican Library in many international communities such as the IIIF Consortium, the VIAF, the EURIG (RDA European Group). This talk will focus on the InternationaI Image Interoperability Framework as well as on the Mirador software through the use case of the Vatican Library: Web Thematic Pathways of Medieval Manuscripts from the Vatican Collections using International Image Interoperability Framework. This contribute aims to present the researches that the Vatican Library, in conjunction with Stanford University Libraries has promoted thanks to a three-year project funded by The Andrew W. Mellon Foundation. In this session the Open Science approach of the European Union will be explored through presentations concerning applied activities, developments, initiatives and policies of Open Science. The speakers are experts on these fields and very familiar with the Open Science movement in Europe. Open Science has and will continue to have a great impact on information infrastructures including libraries. Andreas Degkwitz is the Chief Librarian of the Humboldt University of Berlin and Honorary Professor for information science of Potsdam University for Applied Sciences. From 2004-2011 he was the Chief-Information-Officer of the Brandenburg Technical University of Cottbus. From 1998­2003 he was the deputy-director of the library of Potsdam University and from 1991- 1998 he worked as a consultant for library affairs at the German Research Society. Finland aims to be a leading country in Open Science. The development of the basic building blocks was started already in 2010 in a national initiative. In 2018 the responsibility of national coordination of Open Science was given to the Federation of Learned Societies in accordance with the recommendations of the Open Science Policy Platform. Research is global and also the development of policies, infrastructures, sharing of best practices etc. must happen in international collaboration. Various platforms and organisations -Open Science Policy Platform, Liber, LERU, OA2020 initiative and licensing consortia to mention a few- support the transition towards Open Science. Jean-Claude Burgelman is Head of Unit Open Science at DG RTD. He joined the European Commission in 1999 as a Visiting Scientist in the Joint Research Centre (the Institute of Prospective Technological Studies - IPTS), where he became Head of the Information Society Unit in 2005. In January 2008, he moved to the Bureau of European Policy Advisers (attached to the president of the EC) as adviser for innovation policy. Since 1-10-2008, he joined DG RTD, as advisor and then Head of Unit in charge of top level advisory boards like the European Research and Innovation Area Board, the Innovation for Growth Group and the European Forum for Forward Looking Activities. Till 2000 he was full professor of communication technology policy at the Free University of Brussels, as well as director of the Centre for Studies on Media, Information and Telecommunication and was involved in science and technology assessment. He has been visiting professor at the University of Antwerp, the European College of Brughes and the University of South Africa and sits on several academic journals. He chaired the World Economic Forum’s Global Agenda Council on Innovation and was a member of its Science Advisory Committee. Open access and open science became official policies of the EC in 2016. This presentation intends to give an overview of what the key policies that apply to open science are, their background and what has been achieved so far, as well as providing insight into the areas and aspectes that require more work and what is currently being proposed for the future. Beate Eellend serves as coordinator for open access at the National Library of Sweden with responsibility for the government's assignment to coordinate open access in Sweden. She is a Board member of Sparc Europe and participates in the Liber Open Access working group. Beate holds a PhD in Ethnology and has previously worked as Senior Research Officer at the Research Council for Sustainable Development. Ines Drefs is an International Advisor with the GO FAIR International Support and Coordination Office. She has a background in social sciences holding an Erasmus Mundus Master in "Journalism and Media within Globalization" of Aarhus University in Denmark, University of Amsterdam in the Netherlands and University of Hamburg in Germany. Her doctoral thesis focuses on "Professional Journalism in the Social Web". In this presentation, the GO FAIR office at the Leibniz Information Centre for Economics shares its experience with supporting and coordinating individual researchers, projects or organisations who – in one way or another – work towards making unlinked research data findable, interoperable, accessible and reusable (FAIR). Under the umbrella of the GO FAIR initiative, they team up as so-called "Implementation Networks" and contribute to a bottom-up implementation of the European Open Science Cloud (EOSC) as part of a global Internet of FAIR Data & Services. The GO FAIR initiative is entirely open, inclusive and stakeholder-driven. Michael Mabe is CEO of STM, the global association of scholarly publishers whose members publish over two-thirds of all the papers appearing annually; he is also a member of the European Commission's Open Science Policy Platform. He read chemistry at Oxford and did research on radiocarbon dating before becoming a scholarly publisher with OUP and subsequently held senior management positions at Pergamon Press and Elsevier. He is the lead author of the STM Report 2018, a Visiting Professor in Information Studies at University College London and an adjunct professor in the Information Science Department of the University of Tennessee, Knoxville. Open Science has been on the radar internationally for some time with initiatives from the G7 and nations individually. This presentation will look at how the global publishing community is responding as a key partner in making open science and open scholarship an international reality. The purpose of this session is to highlight the importance of the attitudes of and problems for the research community, that is, the people who create knowledge - those stakeholders in scholarly communication whose views have recently proved of perhaps little interest to those who make policies. The entire panel are either present or past researchers, or who work in researcher-led organisations, or who have reflected on the research communities in a wider context including not just scientists but social scientists and scholars in the humanities. Anthony Watkinson is the principal consultant of CIBER Research and is a lecturer (now honorary) at University College London. He mainly now researches in information science for CIBER and publishes extensively on topics related to scholarly communication. He is a director of the Charleston Conference and plenary chair and is co-organizer for the Fiesole Retreat. He researched in ecclesiastical history at Cambridge before moving to Oxford to run the library of New College. Most of his life he has been a publisher with senior appointments for Academic Press, Oxford University Press and the Thomson Corporation and most recently a part time post at Wiley-Blackwell. He has been awarded the Vicky Speck Memorial Award for Leadership at the Charleston Conference and an award for his contribution to scholarly publishing from the Association of Learned and Professional Society Publishing. For three years (2016-2018) CIBER Research ran a longitudinal study sponsored by the Publishers Research Consortium on attitudes to and practices in scholarly communication among early career researchers in a number of countries. This short presentation will highlight what ECRs think about Open Access/Science and how open they are in practice. Alison Mudditt joined PLOS as CEO in 2017, having previously served as Director of the University of California Press and Executive Vice President at SAGE Publications. Her 30 years in scholarly publishing also include leadership positions at Blackwell and Taylor & Francis. Alison writes for the Scholarly Kitchen and serves on the Boards of the Society for Scholarly Publishing, the Center for Open Science, Knowledge Unlatched and the Advisory Board for the Authors’ Alliance. In the past, Alison has also served on the Board of ALPSP, as Vice Chair of the Scientific Publications Committee and a member of the Open Science Committee for the American Heart Association and on the Executive Council of PSP. At the core of the challenges facing the research enterprise is a system of perverse incentives rewarding novelty and publication in a small number of highly-selective journals and leading to a self-perpetuating state in which the research community feels shackled and is resistant to change. In addition to unpacking these problems, I will talk about four specific concepts that PLOS is embracing to begin shifting these dynamics. Through focus on each of these four areas, our goal is to create a suite of new publishing choices, leveraging PLOS’s brand to incentivize and reward the practice of open science and to invest in the research communities of the future. Following undergraduate studies in Cambridge, Bernd received his PhD in 1992 from the Ludwig Institute for Cancer Research, London, for uncovering posttranslational regulation of the transcription factors c-Jun and c-Myc by the JNK and MAP kinases. He carried out postdoctoral research at the Ontario Cancer Institute, Toronto, the Fred Hutchinson Cancer Research Center, Seattle and at the University of Innsbruck. Bernd was associate and then senior editor at Nature from 1999 until 2002 and subsequently chief editor of Nature Cell Biology. He has been the chief editor of The EMBO Journal and Head of Scientific Publications at EMBO since 2009. Bernd serves on the advisory board of bioRxiv and the San Francisco Declaration of Research Assessment (DORA). Recent Open Access (OA) initiatives have led to a welcome re-evaluation of OA publication models. Few would argue against barrier-free sharing of scientific information, but the implementation raises concerns in the scientific community. Currently, OA models are based on author fees, which risks replacing one access barrier (to readers) with another (to authors) and thus new financing mechanisms are welcome. Open Science (OS) platforms require investment in infrastructure, new research assessment paradigms and incentives. As currently framed, OA initiatives such as PlanS raise the question of whether the priority is to reduce publishing costs, or the overdue conversion to OS. OA should be a first step to a more efficient and open research process based on a multi-layered, transparent mode of scientific exchange at every level of research. I will illustrate the benefits and limitations of new OA models based on the journals published by EMBO and the feedback we have received from EMBO members. 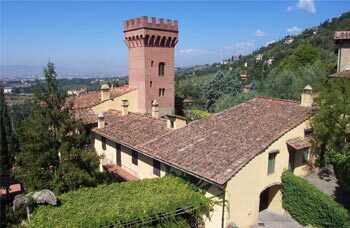 Piero Attanasio got a degree in economics at the University of Bologna. He works in book publishing since 1986. He is head of international affairs, R&D programmes and academic publishing at AIE, the Italian Publishers Association. He is also CEO of mEDRA (the IT spin-off of AIE); and member of the Board of the Federation of European Publishers, the Membership committee of the International Publishers Association (IPA), the Executive Committee of the ISBN International Agency, the Board of Fondazione LIA and the advisory board of the P&R Foundation. He is lecturer in the postgraduate course on publishing of the University of Milan. The production of journals in humanities and social sciences is less investigated than the STM ones. In Italy 3,200+ journals in these disciplines are published by 1,800+ publishers. They are rooted in a tradition where journals (and books) have been conceived as the instrument to open up the scholars’ thought to the society, and not just for the communication within the scholarly communities. From a publishing perspective, focusing on open science means first identifying the audience, looking for broader communities of readers, and then the best means to facilitate the bi-directional interaction between readers and authors. In this context, the role of publishers is not limited in serving scholarly communities of peers. It should be more active, and sometimes provocative. To better promote open science, Open works, in the meaning set by Umberto Eco (1962), are more important than open access. The purpose of this session is to air publisher perspectives on the various accelerating push movements towards open access. While most recently "Plan S" has been proposed at the EU level and supported by a growing number of funding organizations, there have been other initiatives, and still more are likely. Events are in rapid motion. All the initiatives, especially "Plan S", will have significant impacts for the current publishing community, with particular effect on society publishers and publishers in non-science areas such as humanities and social sciences. This panel of participants will discuss their organizations' activities and strategies with respect to advancing open access and will air their concerns about downstream consequences of current proposals. The perspectives come from significant but smaller publishers, and with some focus as well on humanities and social sciences publications. The presentations will focus on: (1) summary of enterprise and OA activities and (2) challenges and opportunities over the next 3-5 years, including outreach, education, partnerships. The session will conclude with a discussion of what we have learned so far. Ann Okerson joined the Center for Research Libraries in fall 2011 as Senior Advisor on Electronic Strategies, working with that organization to reconfigure and redirect various existing programs into digital mode. Previous experience includes 15 years as Associate University Librarian for Collections & International Programs at Yale University; prior to that she worked in the commercial sector, and also for five years as Senior Program Officer for Scholarly Communications at the Association of Research Libraries. Upon joining Yale, she organized the Northeast Research libraries consortium (NERL), a group of 28 large and over 80 smaller libraries negotiating for electronic information. She is one of theactive, founding spirits of the International Coalition of Library Consortia (ICOLC). Activities include projects, publications, advisory boards, and speaking engagements worldwide, as well as professional awards. Recently, she led the group that completely re-wrote (December 2014) the widely used US LIBLICENSE Model License. Over the years, Okerson has also been active internationally and currently serves on the IFLA Governing Board. Jasmin holds a PhD in book history and master's degree in business management. Before joining Brill, she worked for Ernst Klett in Germany, Blackwell's in the UK and for an international academic network based at the University of Edinburgh. After moving to Brill in 2011 she specialized in M&A, new business models, licensing and open access. She is a member of Brill’s Executive Committee. An active participant in the scholarly publishing community, Tasha is a member of the COUNTER Executive and of the UKSG Education Committee. Her industry expertise stretches from publishing operations and project management to policy setting, via technology management and business analysis. Simon Ross joined Manchester University Press as Chief Executive in 2016, after nearly 10 years with Cambridge University Press as MD of Journals and Deputy MD of the Academic Group, spending the last 4 years based in New York. He has held senior editorial and management positions at Sage Publications, Pearson Education, and the Times Publishing Group, and is a past Chairman of ALPSP. Before moving into publishing, he was a research scientist and lecturer in psychology and computer science. He has an MBA from the Judge Business School at the University of Cambridge. Having failed as a pig farmer, David Worlock graduated and became a school and academic publisher. 51 years later , having had the privilege of building the UK's first commercial online service, and founding and selling his digital publishing advisory service EPS, he has a portfolio odd jobs. These currently include helping Outsell run a peer to peer network, the Outsell Leadership Council, of over 150 CEOs from major information and publishing companies, acting as an Advisory board member at companies like Knowledge Unlatched (OA books) and Wizdom.ai, and working as Senior Advisor at the Houlihan Lokey (Formerly Quayle Munro) M&A investment bank. In his spare time he tries to be a good pupil for his grandchildren, watches rugby and dreams of a world where once again pigs make profits - and fly! He writes at www.davidworlock.com. Sam Brooks is Executive Vice President in charge of worldwide marketing, market research, sales, publisher relations and strategic partnerships at EBSCO Information Services. Sam is a member of the steering committees for all content & technology initiatives at EBSCO, and is the architect of the company's 21 advisory boards and numerous focus groups. Mr. Brooks has visited universities in more than 90 countries and worked extensively with government ministries in developing nations to expand access to information. Sam has authored papers in international library science journals, and appeared as the keynote speaker at many library conferences. Mr. Brooks joined EBSCO in July 1991 and is a member of the EBSCO Founder’s Club, as well as a member of the board of directors of the Open Library Foundation (OLF). Josep "Pep" Torn is currently Library Director at the European University Institute. Previously to this he was director of the Academic & Library Services at the Universitat Oberta de Catalunya (Barcelona) and head of digital services at the Universitat Politècnica de Catalunya - Campus Library in Terrassa, Barcelona. Pep is also a member of the Working Group on Leadership and Workforce Development of LIBER. Michael Levine-Clark is the Dean of the University of Denver Libraries. Prior to taking this position, he was the Associate Dean for Scholarly Communication and Collections Services, also at the University of Denver. He oversees the university's Anderson Academic Commons, a vibrant, student-focused space that combines the library with other academic support services, and is currently leading the Libraries' 2017-2022 strategic plan. Michael has been elected to leadership roles in the Association for Library Collections and Technical Services (ALCTS) and the Reference and User Services Association (RUSA). Currently he serves as chair of the Executive Committee of the Western Regional Storage Trust (WEST). As co-chair of the NISO Recommended Practices for Demand-Driven Acquisition of Monographs Working Group, he was one of the lead authors of the recommended practices document. In recognition of that role, he is the recipient of the 2015 Harrasowitz Leadership in Library Acquisitions Award for his work on e-books and demand-driven acquisition models. As co-chair of the Colorado Alliance of Research Libraries (Alliance) Shared Collection Development Committee, he guides decisions about collaborative collection building within the consortium. With colleagues from the Alliance, he founded the open access journal Collaborative Librarianship, and continues to serve as co-editor. He serves on a variety of national and international publisher and vendor library advisory boards and a range of committees within library professional organizations. He is widely published and has been invited to speak on six continents about trends in academic libraries and scholarly communication. North American academic libraries have traditionally not collected textbooks, but as our society has become more concerned about the high costs of higher education, libraries have taken a leadership role in the open educational resources (OER) movement. They have been slower to engage with textbooks. This presentation will provide data from all North American academic libraries using SpringerNature ebooks – a package that includes textbooks – and will include case studies from academic libraries that have been successful in encouraging textbook use. Eric has been Vice President, Communications & External Affairs at DE GRUYTER since 2016. Prior to that he was at Springer Science+Business Media for ten years as Executive Vice President Corporate Communications. From 2002 to 2005 he was Director, Corporate Relations at Elsevier (in Amsterdam) from 2002-2005, and before that he spent 5 years at strategic communications and public affairs agency APCO Europe (in Brussels and Berlin). Eric was also Director European Affairs for the express company UPS from 1993-1998, and prior to that held communications functions at trade associations in Brussels. Married with pets. Keen gardener, cook and reader. Given the rise of open access, scholarly publishers are becoming more focused on the needs of authors and researchers and balancing these needs with those of librarians, who still provide the majority of most publishers' revenues. 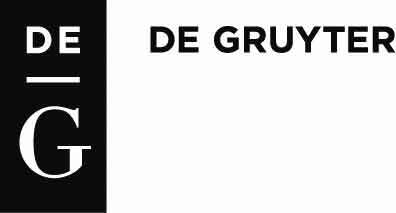 De Gruyter is probably one of the most traditional scholarly publishers in existence, but has also become one of the most important publishers of open access books. The presentation gives insight into the results of a large author survey and explains how their needs are met and how their expectations are served. De Gruyter has remained relevant for 270 years not only by providing excellence in publishing, but also by coming up with creative partnerships and business models. Esther Chen is the Head of the Library at the Max Planck Institute for the History of Science. She studied comparative literature, Polish language and literature and Library and Information Science at the Free University and the Humboldt University in Berlin. After completing her studies she taught at the Institute for Slavic Studies at the Humboldt University and participated in the project entitled "Comparisons and interconnections within European scientific cultures" at the European University Viadrina in Frankfurt an der Oder, before carrying out training for academic librarianship at the Central and Regional Library in Berlin. From 2011–2012 she worked as an academic assistant for the German parliamentary committee of enquiry into "Internet and digital society." Before taking up her most recent post at the Max Planck Institute for the History of Science, Esther Chen worked at the Georg Eckert Institute for International Textbook Research as chief librarian from 2012–2015. A main focus of her work lays in shaping Digital Libraries and Research Infrastructures according to scholarly needs. Klaus Thoden is a Research Scholar at the Max Planck Institute for the History of Science in Berlin. He received his Magister Artium (MA) in German language and linguistics from the Humboldt University, Berlin in 2008. He is the Technical Coordinator of Edition Open Access, a publishing platform for Open Access Monographs that is currently funded by the Federal Ministry of Education and Research. Academic libraries are increasingly facing a shift from the traditional acquisition of books to the development of innovative services and strategies that can make sources accessible to scholars in multiple ways. Under a certain perspective open access initiatives can be subsumed under this new endeavor. This presentation will highlight the various facets of this perspective, detailing the range of services that have been established over the years in the fields of copyright clearance and open access in the library and the experiences made with them. A special focus will be put on a significant open access initiative: Edition Open Access, which has been developed and is hosted by the Max Planck Institute for the History of Science. This portal provides open access to a series of publication projects in accordance with the Berlin Declaration on Open Access to knowledge in the sciences and humanities. One essential part of the portal is a publication platform for monographs. This platform not only offers open access to books in PDF and epub formats, but also features an integrated html text viewer that provides additional functionality and thus expands the scope of the publications. Heather Staines is Director of Partnerships for Hypothesis, working with publishers and technology partners to integrate open source standards-based annotation. Her previous roles include positions at Proquest, SIPX (formerly the Stanford Intellectual Property Exchange), Springer SBM, and Greenwood Publishing Group/Praeger Publishers. She is a frequent speaker and participant at industry events including the COUNTER Board of Directors, the STM Futurelab, Society for Scholarly Publishing, the NISO Transfer Standing Committee, the NASIG Digital Preservation Task Force, two OPERAS working groups, and the ORCID Trust Working Group. She has a Ph.D. in Military and Diplomatic History from Yale University. With publication of the W3C Web Annotation Standard in 2017, we are experiencing a virtual renaissance around user interaction with web-based content--particularly monographs--in education and in research. The non-profit open source tool Hypothesis recently launched integrations with all major Learning Management Systems, enabling instructors to assign close readings and collaboration projects. Increasing popularity of OER content, such as the popular text American Yawp, is giving publishers new ideas about instructor-focused annotation support layers and private student groups. And the wide array of new ebook platforms developed by university presses and initiatives such as the HIRMEOS project facilitate access to monographic content with a common toolset. Learn how monographs of all business models lend themselves to a variety annotation use cases. Jim O'Donnell is University Librarian at Arizona State University. His academic work as a professor of classics includes study of the history of the written word from ancient times to the present. His new translation of Caesar, entitled The War for Gaul, will be published this month by Princeton University Press.